Nobel Laureate, Prof. Wole Soyink has been at the receiving end of harsh criticism by angry Nigerians for venturing into the ongoing crisis in Rivers State. Daughter of the late former head of state, General Sani Abacha, Gumsu Sani Abacha today, on a popular social network site, twitter, lampooned the revered literary icon, describing him as ‘a mad professor’. 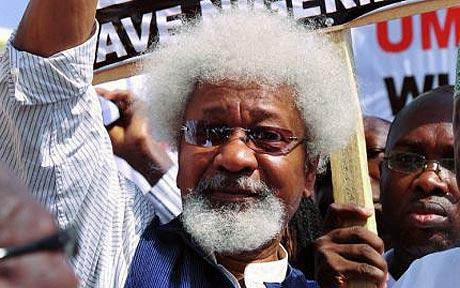 Soyinka had at a press conference on last Thursday described the First Lady as a ‘domestic political appendage’ for overbearing influence and heating of the Rivers’ polity.